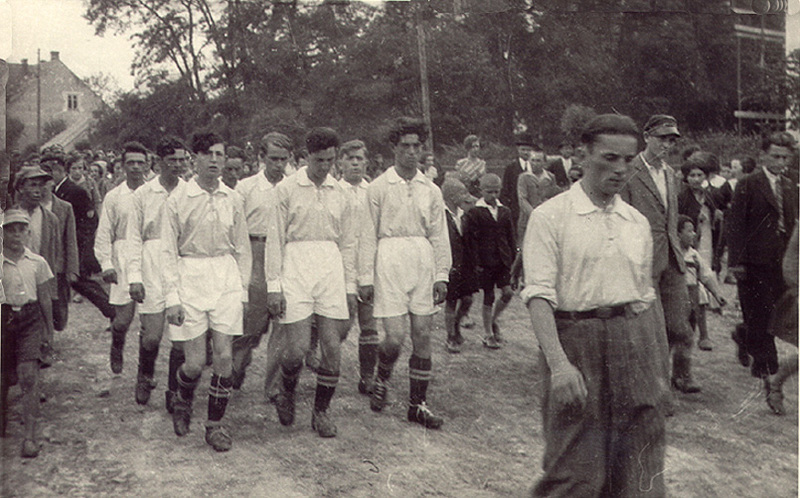 Maccabi Footbal (Soccer) Team marching from Rynek [Main Square]to Maccabi Stadium. 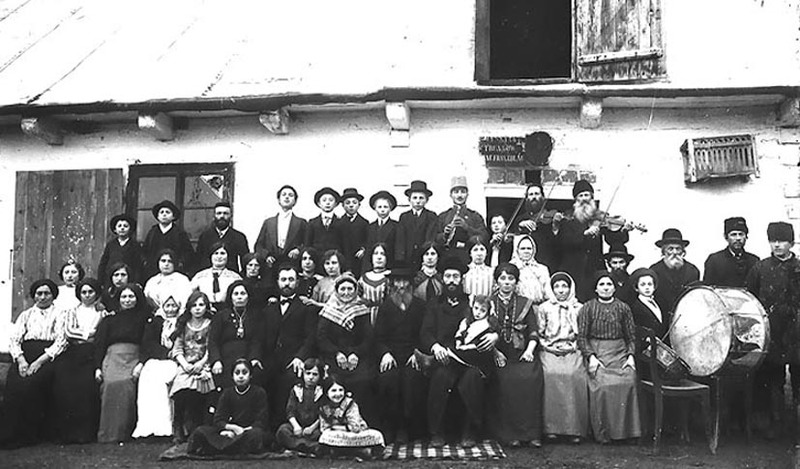 Jewish Family from Mielec. Names unknown. 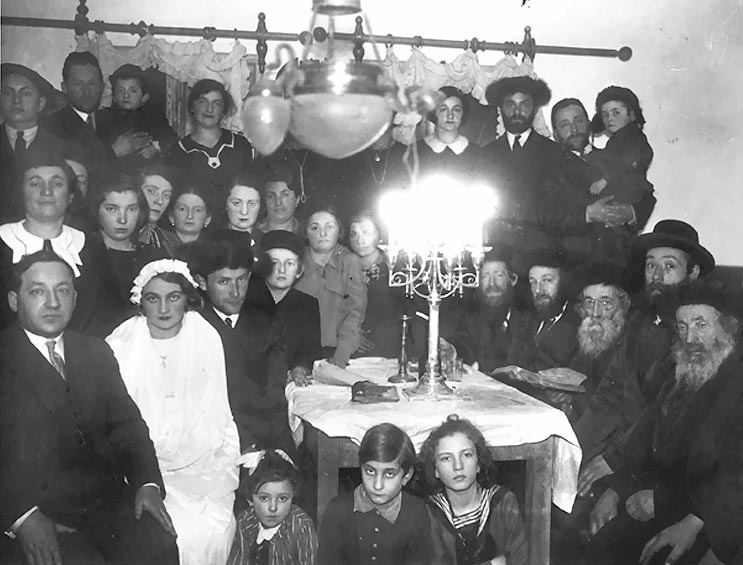 On the front row, first on the right Shmuel Zauvel Zuckerbrod, Gila's uncle. 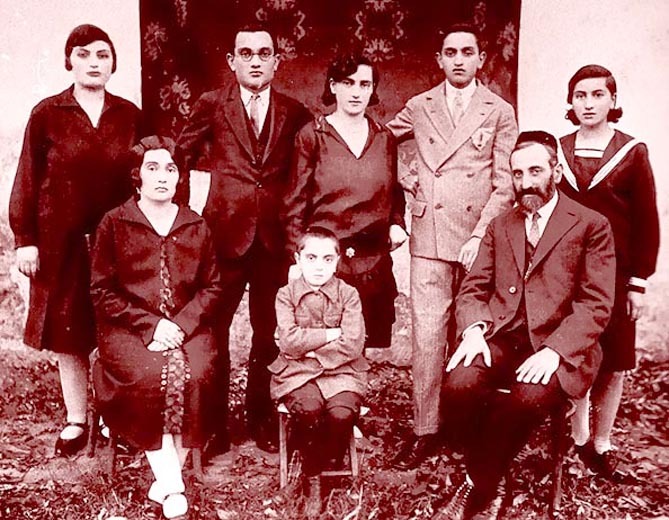 Martel, Yechiel David and Shmuel Zauvel were the only three who survived the Holocaust. Jewish Children playing in a Mielec street. 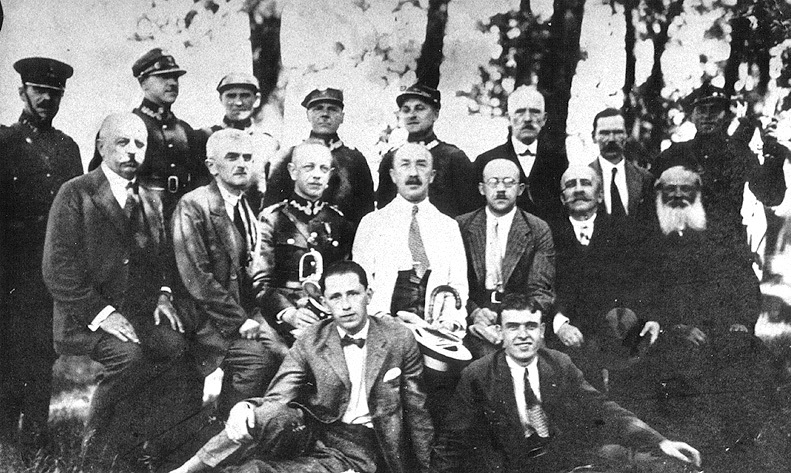 Photo taken c. 1910 in Goleszów . Chaim Franzblau owned the local Taverns and Liquor Store. Goleszów is only 3.8 miles SSE of Mielec. Jewish Population Before the Holocaust: 30. 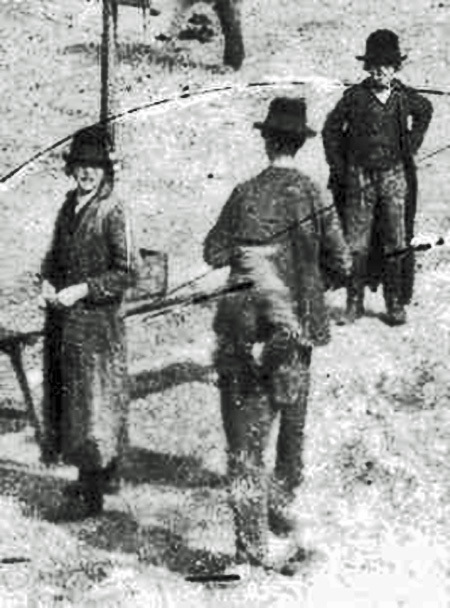 In 1926 the total population of Goleszów was 766.